Following 5 years of vacancy -- and several months of renovation work -- the former Broadway / Macy's department store at Riverside's Galleria at Tyler mall is once again occupied. Last weekend, the doors to the distinctive building reopened as Forever 21 relocated its smaller inline mall store into the much larger pad located at the north end of the enclosed center. We're glad to see the building back in use. As we've previously stated, the building's cantilevered (one | two)* style of architecture showcases department store design from a now bygone era. 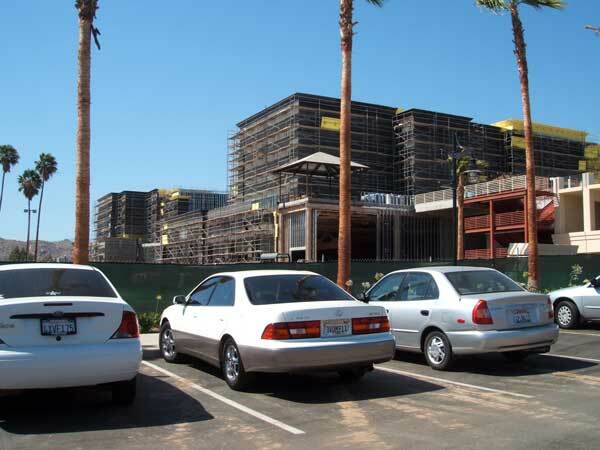 Designed by Los Angeles-based architectural firm of Charles Luckman & Associates, the 164,000 sq. ft. store originally opened as The Broadway in 1970 as part of the then newly-built Tyler Mall. For 26 years, The Broadway nameplate remained atop the iconic 3-story building. It was replaced by Macy's in 1996 after Federated Department Stores acquired Carter Hawley Hale Stores (parent company of The Broadway). 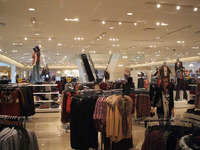 In 2006, Federated again acquired a competing chain, this time May Department Stores. 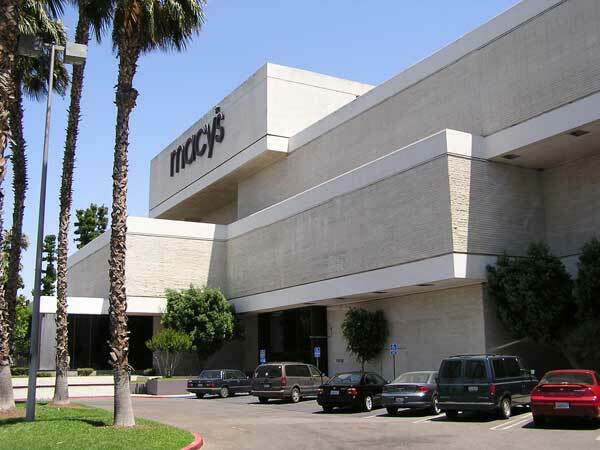 The acquisition resulted in Macy's relocating into the Galleria's freeway-friendly Robinson's-May building, leaving the former Broadway pad vacant -- until last Saturday. 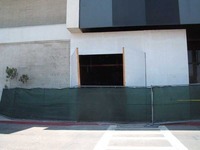 This past July, Los Angeles-based Forever 21 began remodeling the vacant building. After seeing a similar move two years earlier by F21 into the former Harris' / Gottschalks department store at Riverside Plaza, we were a bit unsure what to expect. That particular "remodel" appeared to be not much more than carpet cleaning, a few splashes of paint and some signage. Passable, but certainly not a full makeover. However, results at the Galleria remodel are remarkably different. On the outside, the building looks as good as ever. 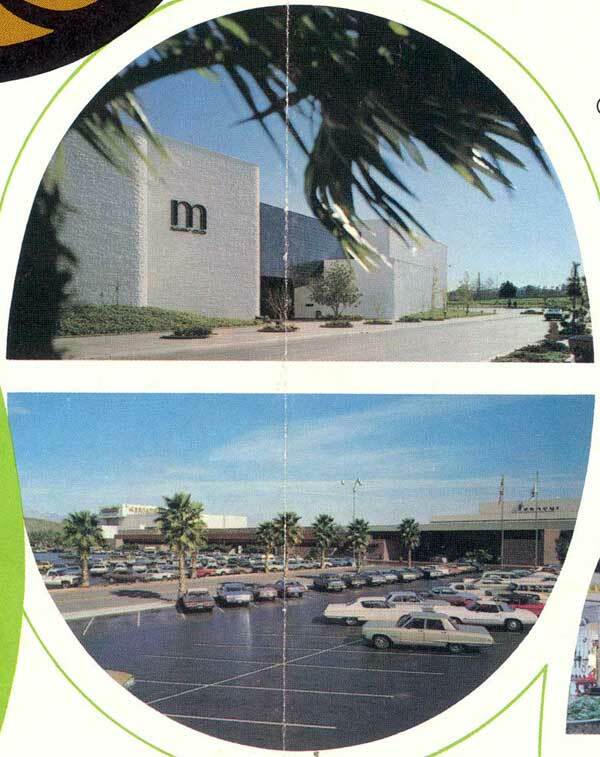 All three exterior entrances were remade, including a sleek makeover of the north entrance, which essentially turned the space into a large window display (something sorely missing in today's retail environment). 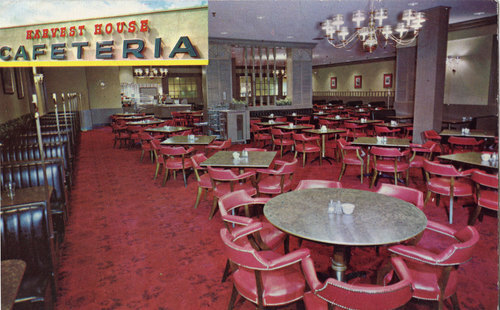 The interior remodel includes a clean and crisp design with touches of old-school department store flair. 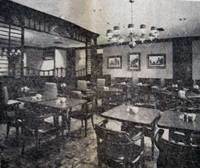 Though somewhat sparse in the middle sales floor areas, the makeover retained much of the former Broadway's "department store" partitions, particularly on the second floor. Overall, we're pleasantly surprised with the makeover. The most jarring aspect was the remodeling of the escalator bank. The new look completely opened up the space by removing interior walls that had partially enclosed the escalators. Gone is the overhead lighting and interesting 1970s tiling that once lined the escalator walls. But more interesting is the disappearance of the escalators to the third floor. Published reports indicate F21 is occupying 106,000 of the building's 164,000 square feet, which begs the question -- what's going on up on level three? Also unclear is how space for the former California Room restaurant that was part of the original Broadway store (and for which exterior windows are still visible) is being used. It's possible it may have been gutted under Macy's reign, but we're not sure. 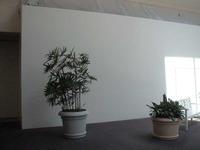 In addition to the "missing" third floor, one other missing aspect left us scratching our heads. 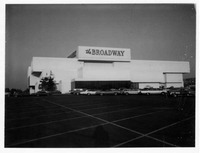 As part of its grand opening in 1970, The Broadway had placed a time capsule just outside the north entrance. For years, shoppers walked atop a metal plaque exclaiming that it was to be opened in 100 years (2070). However, as part of the remodeling of the north entrance, the time capsule is now gone. Where did it go? And what was in it? Finally, yet to be answered is what will become of the Forever 21 currently at the Riverside Plaza. Speculation has F21 not renewing their lease for the former Harris' / Gottschalks building across town, which is said to expire in September 2012. 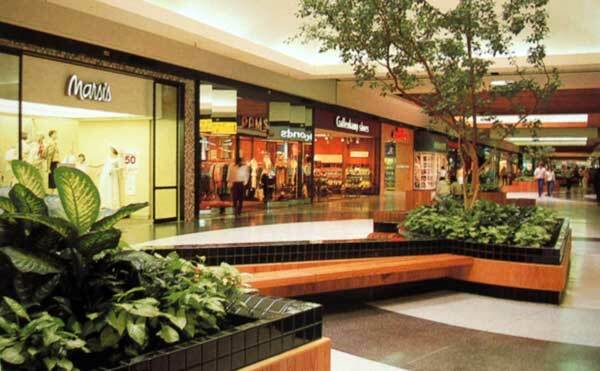 And based upon the much more permanent makeover given to the Galleria store, that outcome seems likely. And if so, what would happen to the Plaza building? Relocating Riverside's stand-alone Sears could be one option (though that could then leave the Charles Luckman & Associates designed Sears building in peril). But with fewer traditional department stores around these days, other options -- including demolition -- are possible. However, we suppose the building's 204,000 square feet could entice a large, non-department store retailer the likes of Ikea, which could be a good fit. 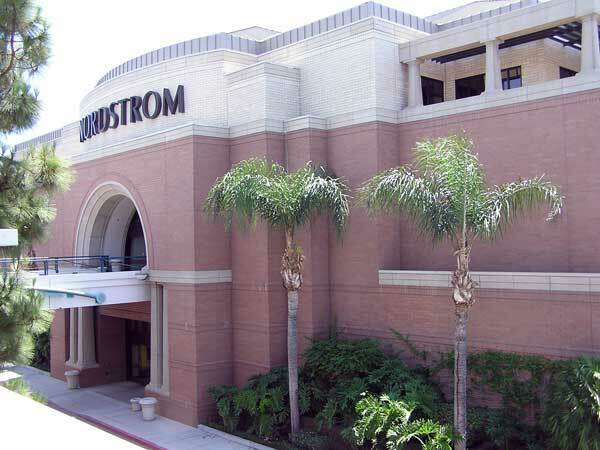 The Swedish retailer has no Inland locations and has previously refurbished a former 3-story department store at a Carson mall in Los Angeles County. So maybe doing the same at Riverside Plaza is indeed plausible? 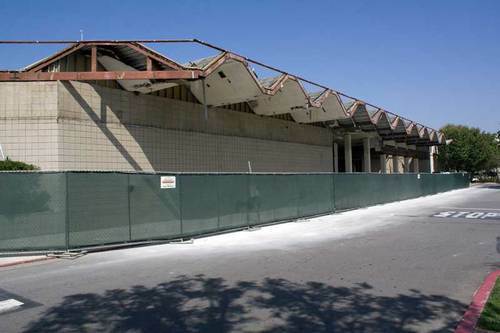 After nearly 5 years of being vacant, renovation work has begun on the former Broadway/Macy's department store at the Galleria at Tyler in Riverside. 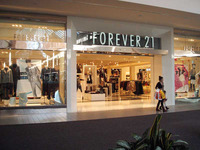 Unofficial reports have clothing retailer Forever 21 relocating from a smaller store elsewhere in the mall into the much larger, 3-story building. 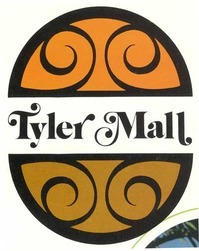 Opening with the then-Tyler Mall in 1970, the 164,000 sq. 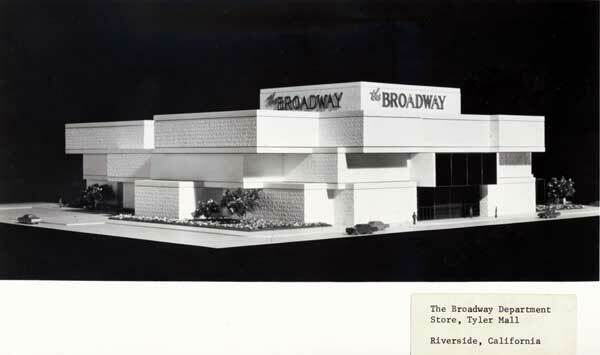 ft. store for The Broadway was designed by Los Angeles-based architectural firm of Charles Luckman & Assoc. 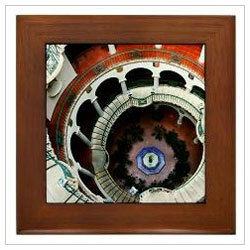 The building's cantilevered (one | two)* style of architecture showcases department store design from a now bygone era. 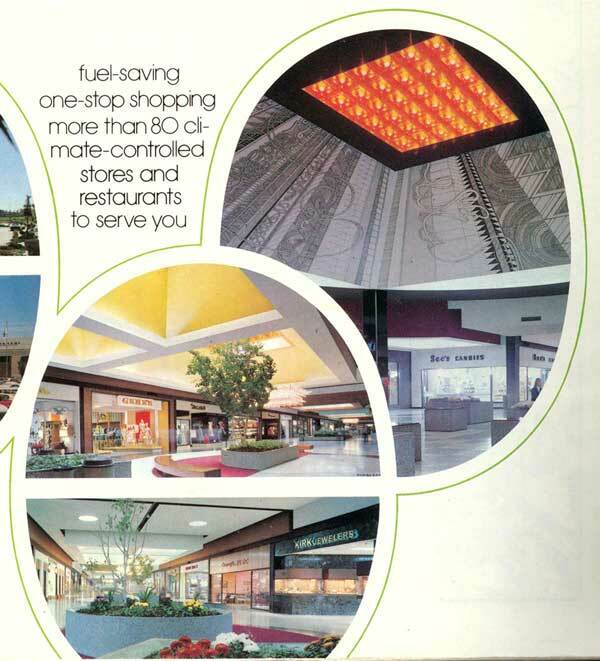 Also of note was the store's original interior, which had a bit of late 1960s flair. Designed by Jim Van Schaak, it was honored as "Department Store of the Year" in the national "Store Interior Design" competition. In 1996, The Broadway chain -- and its sister stores, Emporium and Weinstock's -- was purchased by Federated Department Stores, becoming part of Federated's Macy's West division. 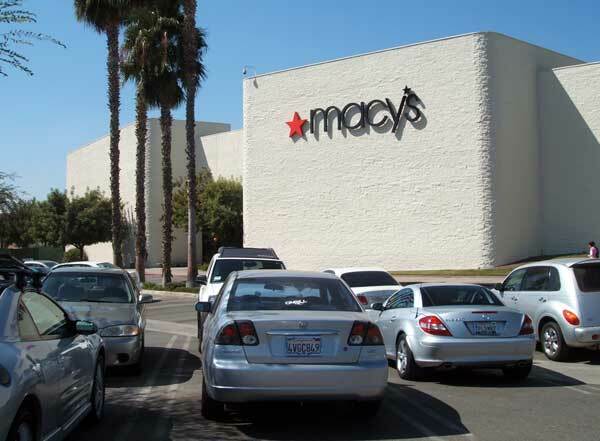 As with most stores in the newly-acquired chain, the Riverside location was re-branded as a Macy's. In 2005, Federated purchased May Department Stores, parent of several regional chains, including Robinson's-May, Marshall Field's, Foley's, Filene's and Caldor. 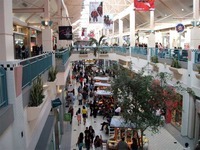 This resulted in duplicate properties at several malls, including at Riverside's Galleria at Tyler. 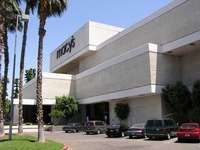 As such, the Riverside Macy's relocated in late 2006 across the mall into the Robinson's-May building (2000 | 2006), leaving the former Broadway building vacant. Recently, work began on renovating the vacant Broadway space. 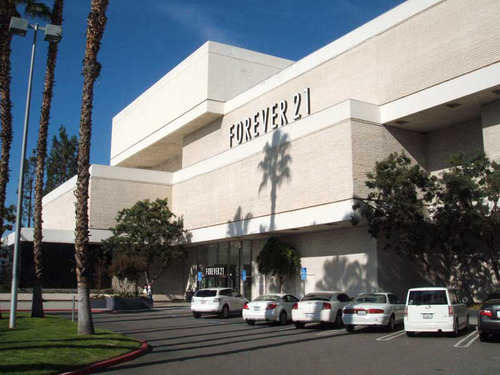 Associates at the mall have indicated the building is being spruced up for Forever 21, which currently occupies a much smaller store within the mall. Established in 1984, Forever 21 has been on a major expansion the past few years. The Los Angeles-based clothing chain has been gobbling up several vacant department stores, a departure from its typical small-store format. 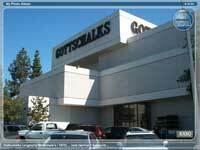 One such large store is the former Harris' / Gottschalks building at Riverside Plaza (one | two | three). With three floors (plus basement) and 204,000 total square feet, it's one of the largest buildings in the Forever 21 chain. However, only two of the building's three above-ground floors are currently in use (one | two | three | four). Which begs the question -- will Forever 21 keep both large-format stores open? 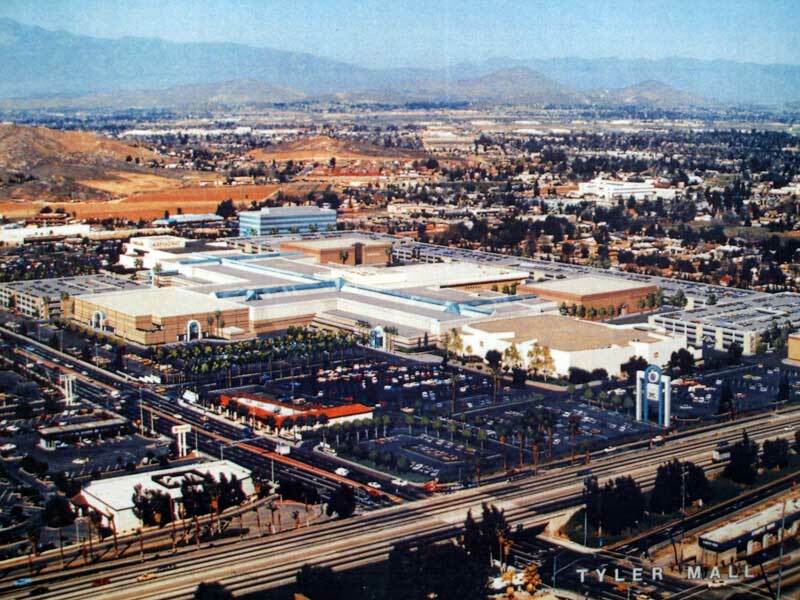 In a fanfare of Spanish fashioned pageantry, Riverside's new Tyler Mall will be trumpeted to a formal opening tomorrow morning, the 64-acre shopping center adding $40 million stature to the city's retail sphere. It is the first mall-under-roof in the city. 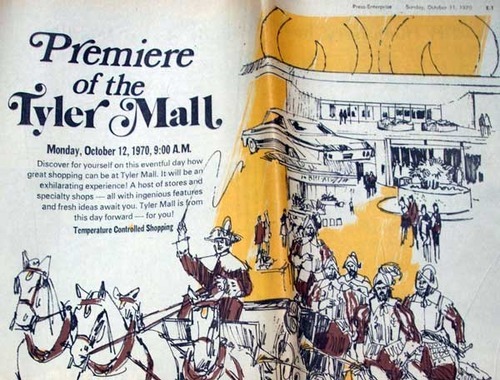 That's how the local newspaper -- The Press-Enterprise -- described the city's new retail mecca 40 years ago in an October 11, 1970 special section highlighting the mall's grand opening. At over 800,000 sq. 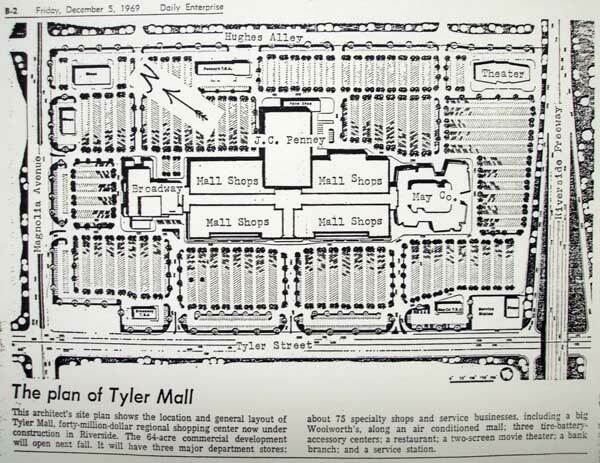 ft., the indoor Tyler Mall (now Galleria at Tyler) was nearly double the size of the city's other major shopping center, the outdoor Riverside Plaza, which opened as the Inland area's first regional shopping center in 1956/57. 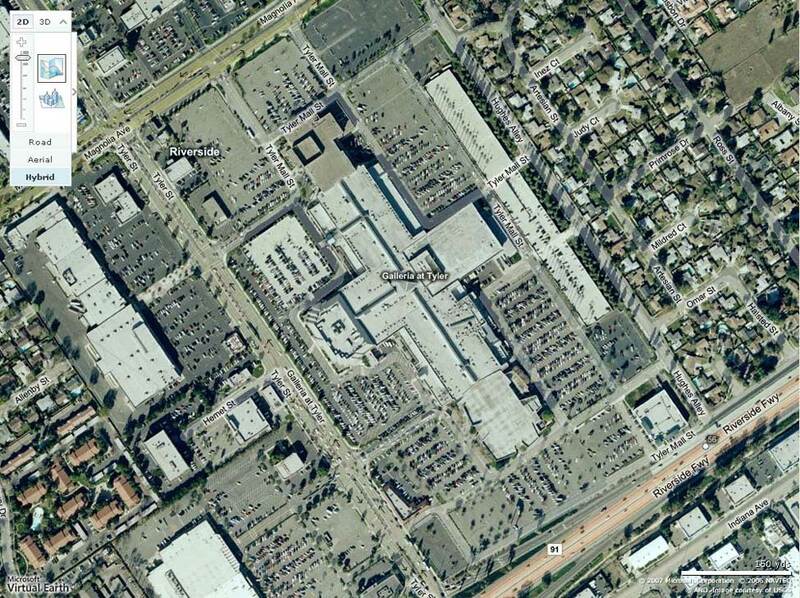 The new mall's developer and general contractor was Ernest W. Hahn of Los Angeles. The architect was Jon Jerde of Burke, Kober, Nicolais and Archuleta, A.I.A., Los Angeles. 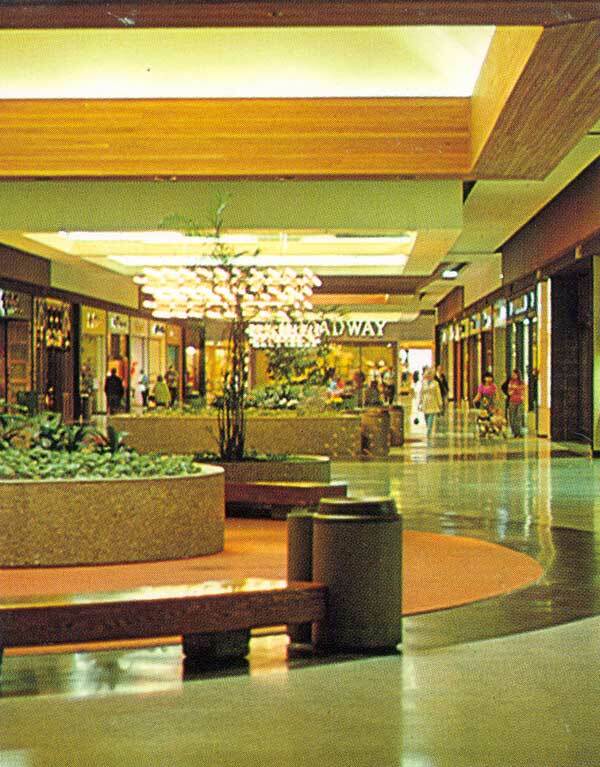 Joining anchors The Broadway* and JCPenney** were more than 80 stores (including a two-level, 61,000 sq. ft. Woolworth's) stretched along a 1,000 foot-long, single-level corridor. Parking for 5,000 cars surrounded the mall. The opening of the third major anchor, May Co.,*** was delayed until July 1973. 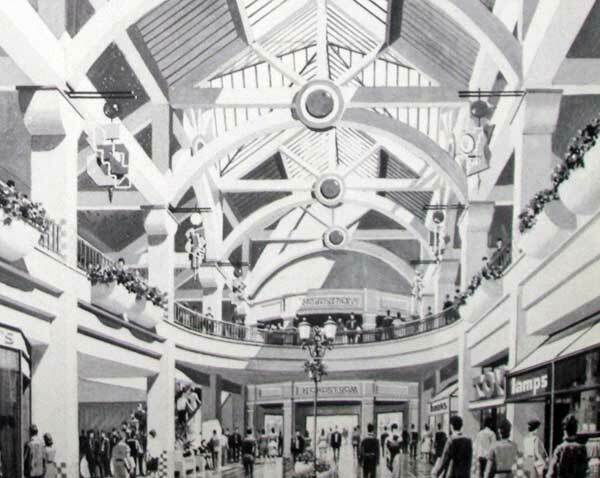 Some of the mall's initial tenants included standard national and regional chains of the time: Kinney Shoes, See's Candies, Singer Sewing Co., Weisfield's Jewelers, Swiss Colony, Fashion Conspiracy, Thom McAnn Shoes, The Show-Off, Ardens and Gallenkamp Shoes. Also present were a few smaller chains and local shops, including Tinder Box (which remains today), Jeanne's, Kirk Jewelers and Cheney's Music (which relocated from downtown Riverside where it had been since 1944). 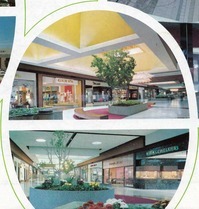 The mall also included several outparcel pads, including JCP and Broadway tire centers, a gas station, Howard Johnson's Restaurant, United California Bank (currently Wells Fargo), Anaheim Savings, and United Artists Theaters, which originally opened as a twin theater before quickly doubling to four. It stood where Barnes & Noble is today. 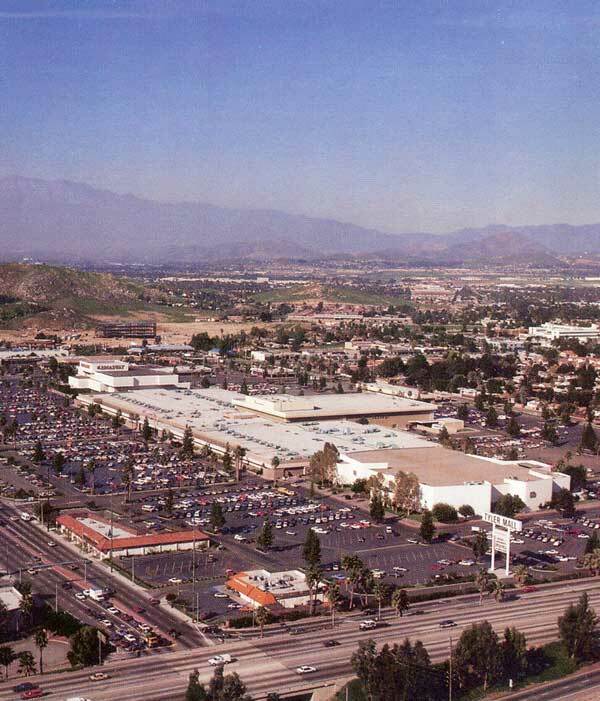 In May 1990, work began on a major expansion that included a fourth department store (Nordstrom), second level of shops and two parking garages. 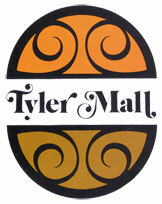 When the grand reopening took place on October 17, 1991, the mall had a new name -- Galleria at Tyler. At the time, plans had been approved for up to two more department stores (for a total of six***), but the 1993 merger of J.W. Robinson's with May Co. -- forming Robinson's-May -- scuttled at least one of those. Subsequent mergers has seen Macy's replace both The Broadway (1996) and Robinson's-May (2006), the latter resulting in the vacancy of the former Broadway building. 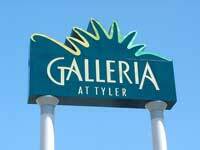 Today, the Galleria at Tyler sports over 170 stores and 1.2 million leaseable space. 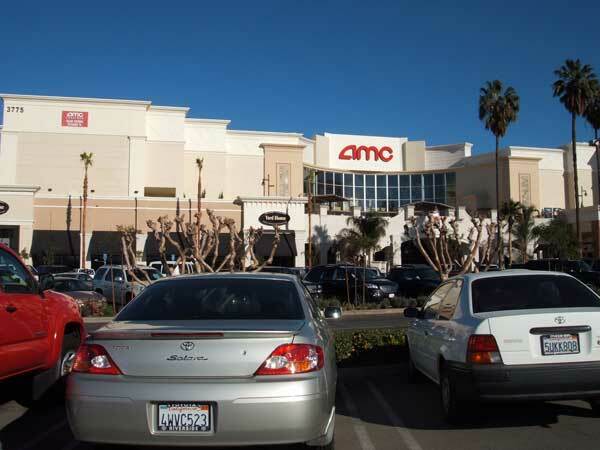 Modest outparcel expansions took place in 2001 (Barnes & Noble) and 2006/2007 (AMC Theaters, Yard House, Cheesecake Factory, PF Chang's, Elephant Bar and Robbins Bros.). In 2008, the center's large, freeway-visible sign was replaced. 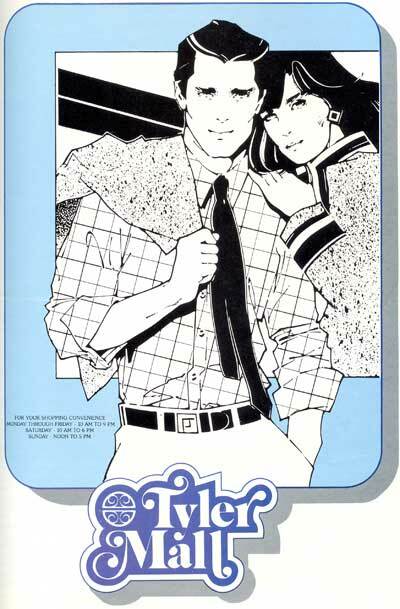 It had last been updated in 1991, which was a replacement for the original 1970 version*). The sign was updated again in 2010 with the addition of the center's major anchors. About 2 weeks back, a new Kohl's opened in Riverside, one of 21 stores the Wisconsin-based chain opened that week across the U.S. 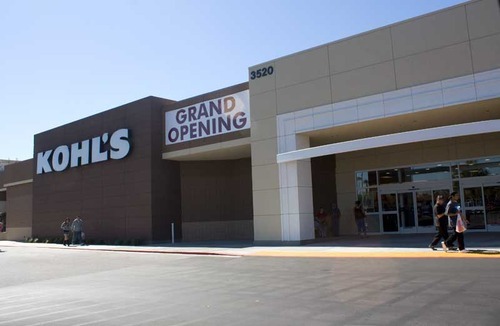 It is the second Kohl's in Riverside with the other store situated on Van Buren Boulevard in the Orangecrest area. Located across from the Galleria at Tyler mall, the new Kohl's opened adjacent to Target in the space previously occupied by Mervyn's, which closed in early 2009. The entire building -- including the portion that currently includes Target -- opened in 1972 to house a store from the discount division of JCPenney known as The Treasury. Shortly after the closing of The Treasury chain, the 185,000 sq. ft. building was divided for use by both Target and Mervyn's, with the latter occupying 79,000 sq. ft. when it opened in mid-1983. During the recent renovation for Kohl's, we were surprised to see the uncovering of the iconic "squiggly roof" that The Treasury was known for. As expected, the kooky roofline was eventually replaced by a new facade. We can only hope some elements of the mid-century inspired roofline remain hidden for possible future re-discovery. 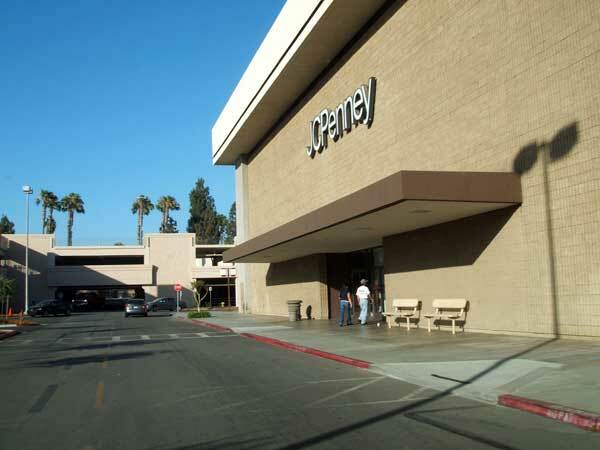 For those who don't remember, The Treasury was the discount division of JCPenney, which acquired the small chain (also known as Treasure Island in some parts of the U.S.) from General Merchandise Co. in 1962. Many of the stores sported a zig-zag roofline above the main entrance, which became part of the chain's advertising slogan of "Under the squiggly roof." 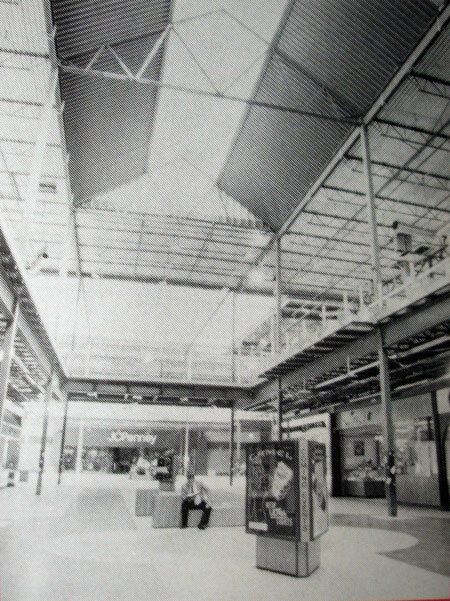 The stores were quite large, often in excess of 150,000 sq. feet. Permits from 1971 show the Riverside location at just under 185,000 sq. ft. (plus an 11,600 sq. ft. basement). To help patrons navigate the expansive sales floor, several colored lines designating the major departments (housewares, electronics, toys, womens' clothing, etc.) fanned out on the floor from the main entrance leading shoppers toward the desired department. 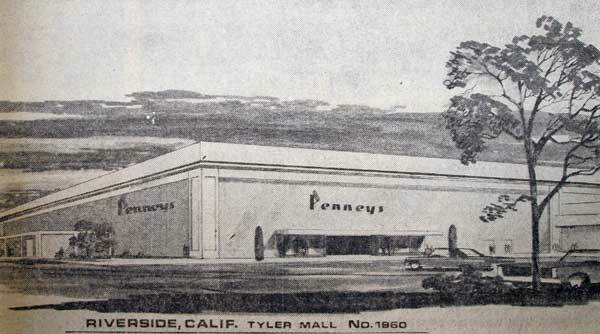 The Riverside store, located at 3520 Tyler Street, opened in 1972 and closed in 1981 when JCP shut down the then money-losing discount chain. 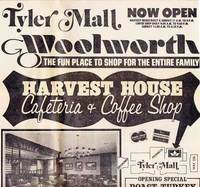 Permits indicate the Riverside location was developed by Ernest W. Hahn, who also opened the then Tyler Mall (Galleria at Tyler) across the street in 1970. 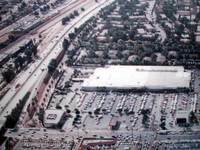 Around 1992, Target enlarged their portion of the building slightly by expanding outward along the store's Diana Avenue (freeway side) frontage. In mid 2008, Mervyn's -- now no longer part of Target Corp. (formerly Dayton-Hudson) -- filed for Chapter 11 bankruptcy, eventually leading to the shuttering of the chain by early 2009. The Riverside location remained vacant until the recent renovation by Kohl's. This entry kicks off a semi-occasional feature we'll be calling "Road Trip" -- a chance to explore other cities and areas within California, particularly those outside the three major metropolitan regions: Los Angeles, San Francisco and San Diego. Everyone knows these places, but what about the likes of Fresno, Stockton and Bakersfield? The latter three are relatively large cities that in many states would be the largest and most dominant city. But in California, they are but one of at least a dozen cities in excess of 300,000 residents. Our aim will be to spotlight these lesser-known, mid-major cities. In some cases, we'll toss in a smaller city (such as Visalia) or a larger city essentially hidden within one of the major metropolitan areas (such as Chula Vista). From a basic urban/civic planning perspective, we'll take a somewhat cursory look at their urban form, and in particular, their downtown cores -- if there is one -- and see what's there and what isn't. We'll then compare and contrast them relative to Riverside, looking for what makes them unique -- or not. Our hope is to gain better appreciation for these somewhat overlooked places and possibly learn a thing or two along the way about how to improve and strengthen our own city. For being a city located at the center of California's dusty, but agriculturally rich "Central Valley," Fresno belies expectations. Many Californian's simply assume the worst and never really give the place a chance, making it a good candidate in which to start this series. First impression: Fresno is a big city -- 470,000 according to 2007 Census estimates -- that feels somewhat smaller than it is. The downtown core, though not overly large for a city of its size, is a mixture of old and new. And, as with every major California city, Fresno is surrounded by expansive, suburban housing tracts. Thanks to numerous trees lining many major streets, particularly those in the more recent developments and newer commercial areas, Fresno appears much greener than one might expect. Looming in the distance to the east is the Sierra Nevada mountain range, including Kings Canyon and Sequoia national parks (with 14,494-foot Mt. Whitney on the backside). Located about an hour to the northeast is Yosemite. How it's similar: Fresno and Riverside actually share much in common. Both support a major university and are seats of county government with the various civic and cultural institutions inherent therein. Physically, downtown Fresno also contains a classic street grid pattern and a 1960s-era pedestrian mall. Likewise, Fresno's post-war growth has taken on a predominantly suburban form -- partly to the detriment of downtown. Geographically, the metropolitan region is partially hemmed in by mountains. And, as with the majority of California's valleys, summers can get a bit toasty and the air does get somewhat stagnant at times. How it's different: Unlike Riverside, Fresno is unquestionably the dominant city within the Fresno-Madera metropolitan region. As such, it has its own television market. 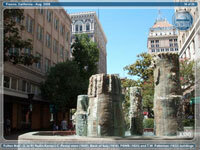 Fresno's moderate skyline is dominated by mostly older and slightly taller buildings. Though both cities have modern convention centers, the latter also has a mid-sized arena and an adjacent concert hall/civic theater. And although Fresno has a passenger airport with an Air National Guard unit, the city does not have a major military base the likes of March Field near Riverside. Once outside Fresno, the landscape turns into mile upon mile of farmland. Biggest surprise: Parts of downtown appear to be in a time warp of sorts, with a small, but impressive collection of pre-WWII "Renaissance Revival" styled towers (one | two | three | four). Arguably downtown's most unique aspect, the outdoor Fulton Mall (1964) offers a nice respite from California's car-dominated landscape. Though not overly vibrant, the pedestrian mall has a lot of potential. A recent addition is a minor league baseball stadium located at the mall's southern end. Interestingly, the landscape design of Fresno's Fulton Mall is very similar to the one in downtown Riverside, which opened two years after Fresno's. Both malls contain elements (Fresno | Riverside) designed by landscape architect Garrett Eckbo of Eckbo, Dean, Austin and Williams. One key difference is the amount of public art situated along Fresno's mall, at least double of that found at Riverside's version. Biggest disappointment: As a predominantly low-rise campus (one | two) with several large parking lots and no overly distinctive buildings, the campus of California State University at Fresno felt more like an overgrown high school. In fact, one can easily drive past the campus without even realizing. However, the university is a major player in local sports and includes a football stadium, a recently built arena/rec center, and separate stadiums for both baseball and softball. What can Riverside learn? One aspect of Fresno that Riverside can take note of is that city's long-term commitment to the larger civic/regional entities, such as the sports arena, civic theater and even the new minor league baseball stadium. And although Riverside's own pedestrian mall is currently undergoing its first major renovation, the city should keep tabs on Fresno's similarly designed outdoor mall. In particular, Riverside should take note of the amount of public art dotting Fresno's mall. Trips to local malls this weekend brought evidence of renovation and change at two of the region's largest shopping centers. 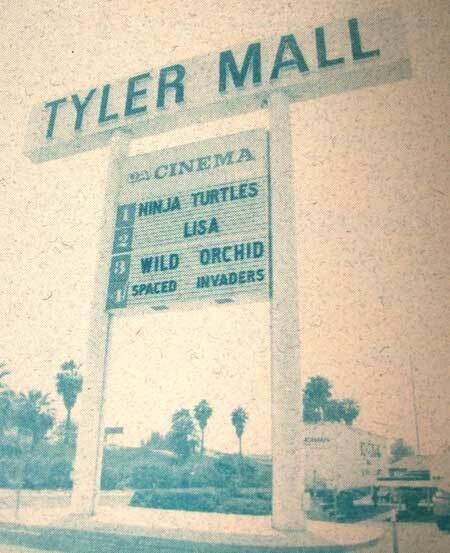 First up, a quick stop at the Galleria at Tyler in Riverside saw the removal of the center's 1991 sign, itself a replacement for the orignial 1970 sign*. With the recent additions to the mall of an AMC theater complex and several restaurants, including Yard House and The Cheesecake Factory, new freeway signage is not completely unexpected. In fact, we spotted new signage recently at the newly expanded parking garage that hinted a new logo -- and new colors -- might be forthcoming. 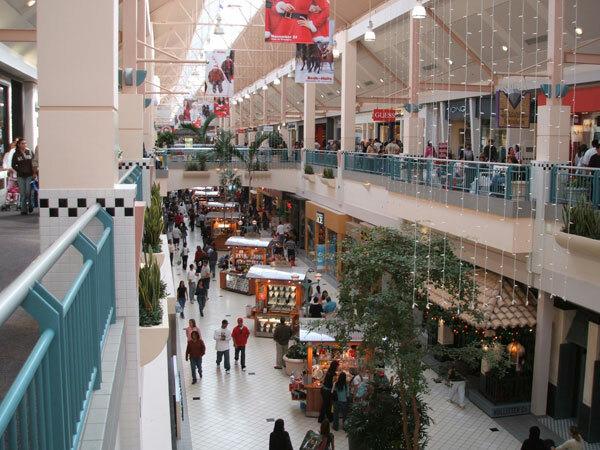 Elsewhere, a trip to Montclair Plaza gave us a chance to see that mall's interior renovation currently underway. Meant to soften up the center's somewhat industrial look (as a result of a 1986 expansion), the design includes ceiling enhancements, accent lighting, glass railings and new furniture. The work is being done after hours and is expected to be completed before the end of the year. Also planned as part of Montclair's renovation is the demolition of the 1968 building that once housed The Broadway and later Macy's. The building sports classic 1960s modern design, a form that seems to be quickly disappearing from the local landscape. In fact, many of the iconic buildings that once housed The Broadway have met similar fates across Southern California over the last few years. 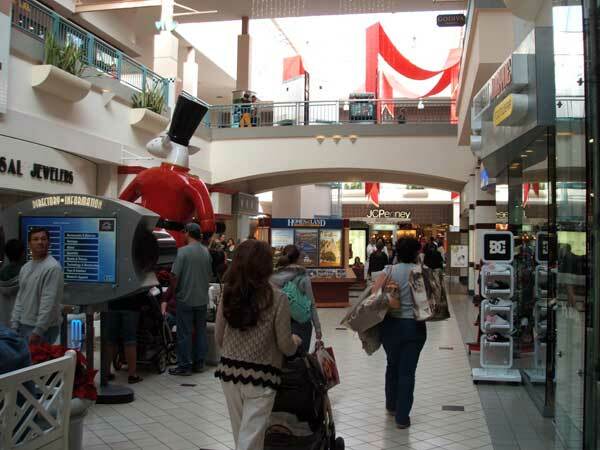 Finally, could the Montclair renovation provide a glimpse into possible future renovation at Montclair's sister mall in Riverside? 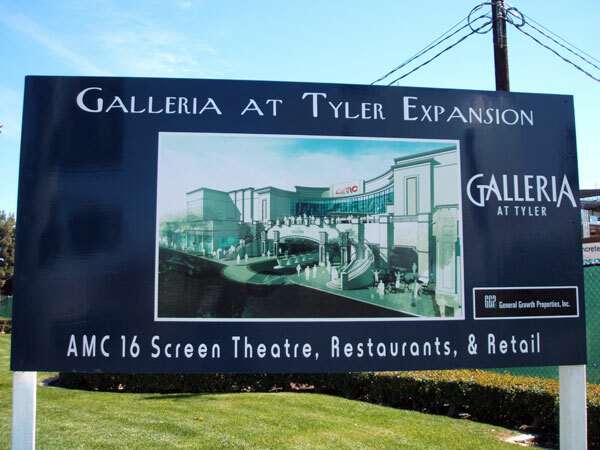 Though we're not aware of any planned renovation of the interior for the Galleria at Tyler, both malls underwent similar expansions within five years of one another about 20 years ago. Likewise, both centers are owned by Chicago-based General Growth Properties.